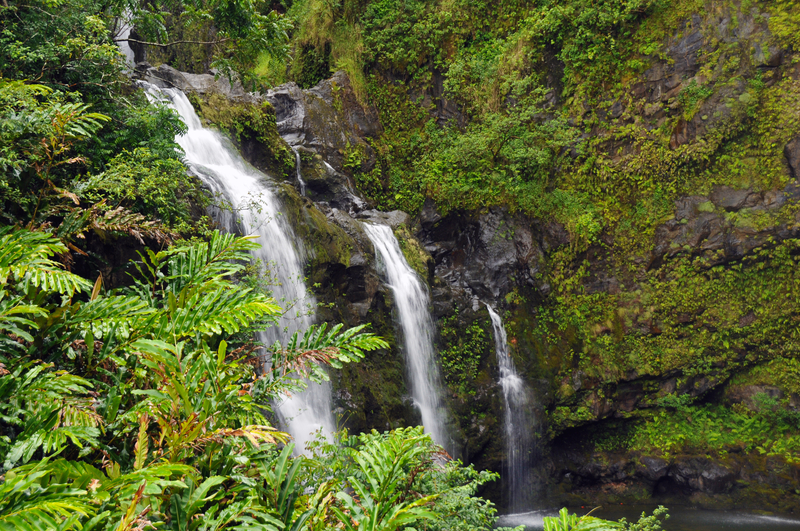 Where Are the Best Waterfalls on Maui? There are many beautiful waterfalls to experience on the island of Maui. Most of them are along the Hana Highway. Below is a list of some of the best on the island. Make sure and note when the falls are active. On my first visit to Kauai, a group of us hiked around Wiamea Canyon one October day, looking around unsuccessfully for some specific waterfalls. At the end of the day, we left the canyon, stopping at the ranger station on the way out. I was talking with one of the workers, asking about the falls, when I was told that the falls had long since dried up but would be active again in a few short months. 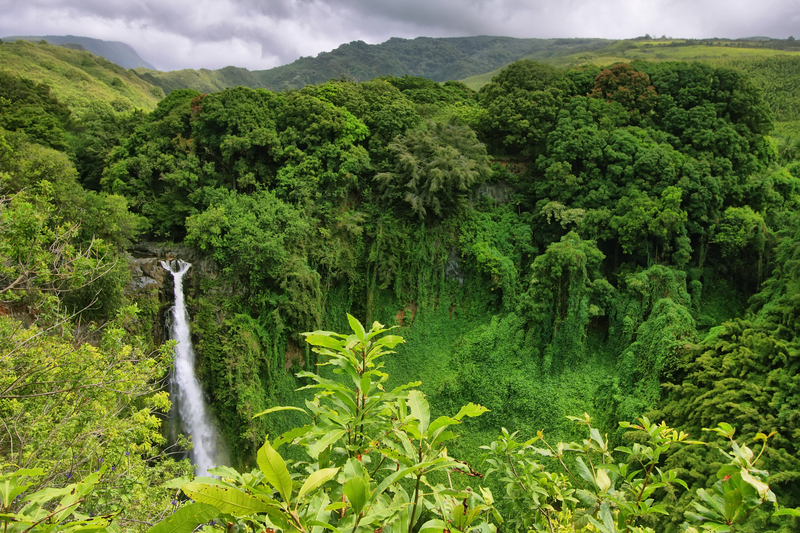 Makahiku Falls – These falls are 180 feet high and are visible from December to April. These falls are found on the way to the taller and more majestic Waimoku Falls. To find them, go south from Hana on Highway 31 past mile marker 42. The falls will be on the east side of the road. Signs will lead you to the trailhead. Both falls are found on the Pipiwai Trail. Makahiku Falls are about a half mile in on the trail. Waimoku Falls – These falls are found farther down the trail from Makahiku Falls, about two miles in from the trailhead. These falls drop 400 feet down a sheer lava rock wall into a pool and are the tallest falls on Maui. The hike to get there should be on your list of “must-dos” as it is stunning. Halfway to your destination, you will pass through a bamboo forest, which will be quite obvious. As an added bonus, these falls run all year long. Makamako’ole Falls – These falls are 270 feet high and fall in several tiers. They run from December to August. They can run longer during wetter years. 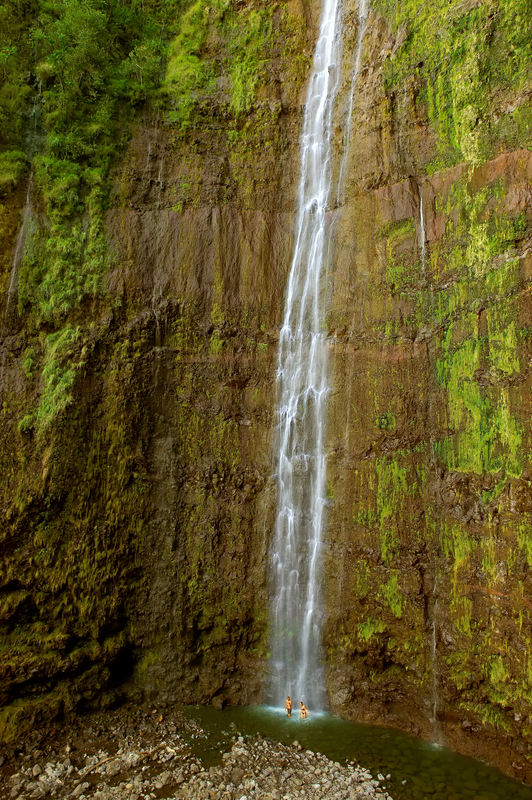 This is the largest waterfall on Makamaka’ole Stream and is visible along the Waihee Ridge Trail. The best view for these falls would be at the one-mile marker on the trail. It is also possible to view these falls on the Kahekili Highway (Country Road 340) found on the northwest coast. Just past mile marker 8, you should be able to spot them on your left. `Ohe’o Gulch Falls – These are the falls at the famous Seven Sacred Pools. They fall only about twenty feet, but the setting is dramatic. They flow all year long and can be found at the end of a short hike. `Ohe’o Gulch is in the Haleakalā National Park and can be entered off Highway 31 south of Hana (near mile marker 42). There will be a $10 entrance fee, but this is another must-see on Maui. That $10 may be the cheapest (and best) investment you make on your trip. Upper Waikani (Three Bears) Falls – These falls are about seventy feet high and flow intermittently through the year depending on current rainfall. These could be the most viewed falls on Maui because they can be seen from the road. You can spot them a half mile beyond mile marker 19 on the Hana Highway, but you can get much closer to the falls than this. Below the nearby bridge is a short path that will take you to a better view for better pictures. 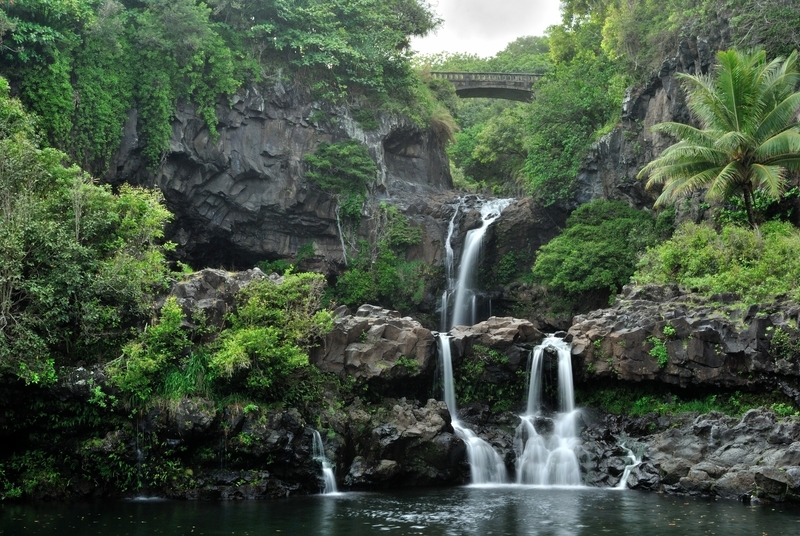 Wailua Falls – These falls are eighty feet high and seem to have the best of everything. Some claim they are the most beautiful falls of Hawaii. You can spot them from the road and they flow year-round. There are a couple smaller falls (Pua’a Lu’u and Hahalawe Falls) a little farther down the road. You can find Wailua Falls just beyond mile marker 35 on the Hana Highway. There is a parking lot there and there is a short path to the base of the falls, but the trail can be a little challenging so use caution. 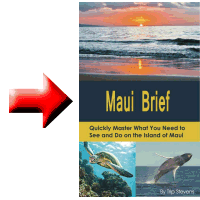 Like many Hawaiian names, “Wailua” is a common name. If you read somewhere about Wailua Falls, keep in mind that there are waterfalls with that name on both Maui and Kauaui.